If you want the ultimate in shipment and logistics efficiency, then you need to contact All Around Moving & Storage to take advantage of our cross-docking service. Cross-docking essentially means that items or goods are transferred from one transport vehicle to another during the shipment process, thereby eliminating the need for storage. An example of this may be found when shipping items across the country. One transport vehicle will dock where another is waiting. Your goods will then be transferred from the original vehicle to the waiting vehicle, at which point it will depart en route to your destination. Cross-docking with All Around Moving & Storage means that your items arrive faster, more efficiently, and at a better price. Our team works around the clock to give your company a competitive edge through cross-docking. No matter what you need shipped, or where or when you need it transported, the professionals at All Around Moving & Storage have you covered. In the event that you need storage options, we also offer a variety of warehousing solutions to ensure that your items are protected during the transport process. When it comes to choosing cross-docking services, your business deserves the best, and that’s why All Around Moving & Storage goes the extra mile to ensure that all of our service experts are licensed, insured, and dedicated to helping your company succeed. We only hire experienced experts who have demonstrated a commitment to excellent custom service. We also screen all of our cross-dock experts for substance abuse and criminal history information. We believe that our transportation and logistics services can only be as good as the people we hire, and since 1984, our philosophy has been backed by a total guarantee of customer service. When you rely on our cross-dock professionals, you’ll receive a complete schedule for all of your goods so that you can know exactly when and where they will end up. This allows our commercial customers to provide their customers with updated, accurate information, better customer service, and lower pricing. We want your company to be as competitive as possible, and we’re standing by 24 hours a day to offer shipment tracking information and helpful customer service. 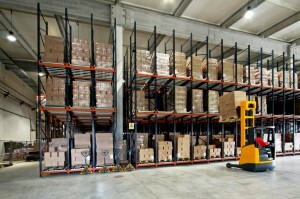 Our professionals provide cross-docking solutions for all of your needs. Contact All Around Moving & Storage at 734-941-2280 to learn how our cross-dock team can assist you.